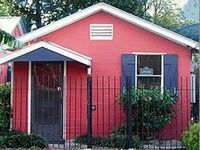 Property 34: Adorable Creole Guest Cottage, Steps To Shopping, Restaurants, And Parade Route! Property 36: Totally redone 3 bedroom/2 bath with NOLA charm, new appliances & furnishings! 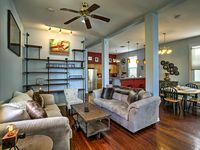 Property 40: NEW 2 STORY DESIGNER ART LOFT NEXT TO FRENCH QUARTER & FRENCHMEN ST! Property 43: PEARL ST. GUEST COTTAGE OFF ST. CHARLES,30 NT. MIN.